Manfred von Richthofen dives down on a formation of DH2s led by Capt J Andrews on 23rd November 1916. The ensuing dogfight saw von Richthofen engage in a deadly duel with Major Lanoe Hawker VC which resulted in the death of the famous British pilot. 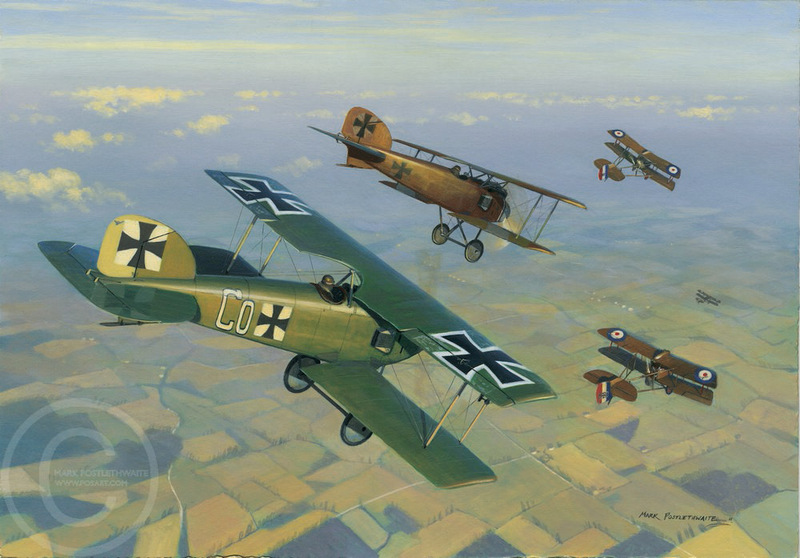 Commissioned for Osprey's Duel series, Albatros DII v DH2.